Finally, you can get my new Jackpot Paydays system. 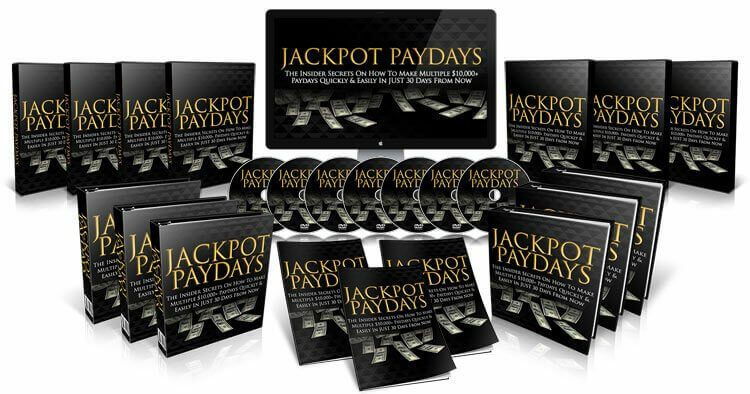 So if you wanna be taken step by step through the entire process on how to make $10K+ multiple times a month… Then Jackpot Paydays is the way to go. I’ll show you how to instantly rejuvenate and start making those huge paydays in just 30 days from now. And with 849 people with a deep desire to get access to Jackpot Paydays – no matter the cost – then make sure to order ASAP. Otherwise, you’ll miss out and you’ll never get another chance again. I have to do this to protect the methods taught in the course you see. Because if everyone got access, the methods taught would become saturated – and after a while – ineffective.